Due to political reasons I left my post as a professor of violin and as I sent my family to live in Germany I took another post as professor in the opposite direction from Europe in a small city in Southeastern Turkey called Batman. Unlike many in the region, Batman is a very recent settlement and officially only became a city in the 1990s due to its being the only oil region in Turkey. Not far from the Syrian and the Iraqi borders, it had also suffered much from the decades-long terrorism and guerrilla wars. In the relative calm of the 2000s a new university was established and, as widely speculated, to prevent students from participating in protests and rallies in town, the main campus had been built twenty-six kilometers south of the city in a location known to the students as “the end of the world”. Even though this was the direction of the ancient city of Mardin, due to the lack of a road bridge over the biblical River Tigris, there was no transit traffic. The deceivingly good-looking but poorly built road from the city center ended here in a loop around the campus. One arrived at the campus gates after a sharp curve, tilted against the law of physics followed by a long and steep slope toward the gates, which every time felt as though this was my final trip since the ignorantly bold bus/dolmuş drivers went down like landing a passenger jet. All vehicles had to stop here, security personnel boarded the buses and checked everyone’s university identity cards. No university card meant you had to get off the bus and wait for another one going in the direction of the town. You were not allowed on campus. At night buses ran only until 10 PM. And after the evening classes were over no men were allowed on campus since there were only dormitories for the girls. Only few academic personnel got in and only if they lived in on-campus housing. This was the middle of nowhere. Due to climactic reasons and the carbon dioxide used in the oil wells surrounding the campus almost no trees grew taller than two feet high. 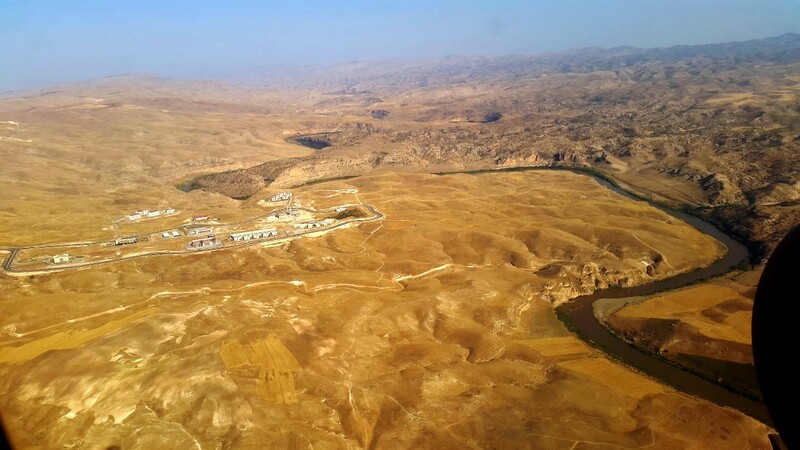 The campus was located on the western bank of the River Tigris, forming the eastern border of ancient Mesopotamia. The region, which has extremely hot summers with temperatures reaching mid-50s Celsius, has surprisingly cold and snowy winters. When snow fell the only access road was either very treacherous or simply not used for a couple of days. This would not be problem if the campus was as self-sustaining as one would expect, but it wasn’t. There were no shops with the exception of a small convenience store. The School of Fine Arts Music Department was only two years old and with my arrival they were qualified to accept students to the Masters in Musicology program. We held the entrance auditions/interviews early in January 2017. People, including many local music teachers had been waiting for such a program and we had nearly thirty applications. At the end of the three-stepped audition/interview process, each one of the three-member jury selected three students and we agreed on a total of six students. We were allowed to accept more students but did not have enough faculty members for individual advisement. Among my top three was a girl named Şenay Aybüke. She had recently graduated from the education department of a university in Konya in central Anatolia and had freshly been appointed as a new music teacher in Kozluk, a small town in Batman Province (all new civil servants have to work in eastern and southeastern Turkey for several years, which are considered as areas of deprivation. Location is typically determined by a draw). The first year students were a mix of music teachers and folk music majors. Since all were coming daily from different towns we were doing long classes on a single day. The youngest of the class was Şenay Aybüke. I had learned that she hated her first name when I called her Şenay. From then on she was only Aybüke, which meant moonlight. She was only twenty-two years old. She liked to wear colorful Dr. Martens boots. She liked to look at her cell phone during classes and every time I warned her she shyly claimed that she was still a child and could not stop looking at her phone. She was probably the most child-like, with an innocent energy. We were only able to work together for one semester. A stray bullet in an assassination attempt by PKK terrorists in the middle of Kozluk took her from this life, from the ones she loved and from the ones who loved her. I cannot begin to fathom the pain her family suffered and continue to do so. A state funeral was arranged. She was in the national news for days as a martyr. Everyone lamented briefly. 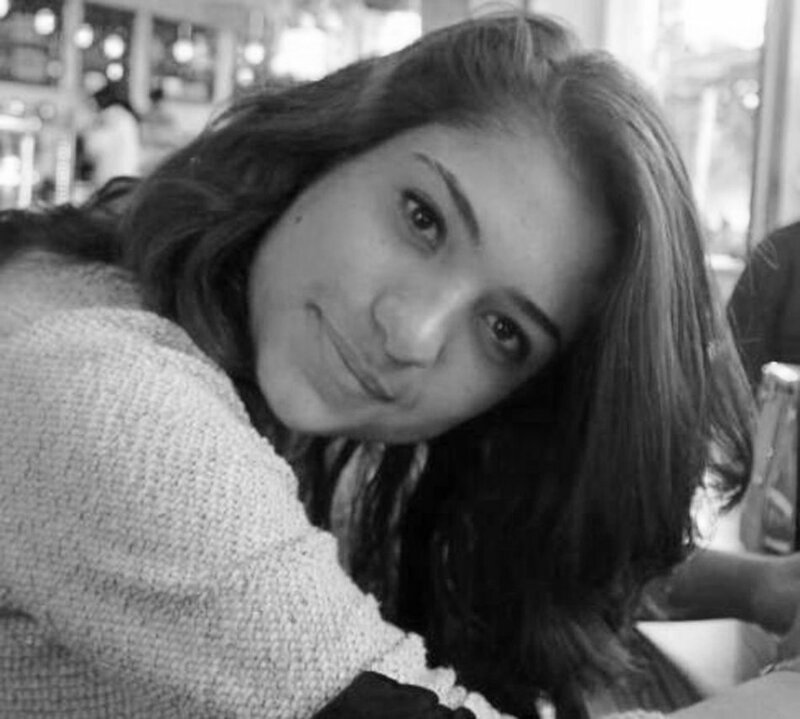 We expressed our sorrow with short messages and the life without Aybüke pursued. 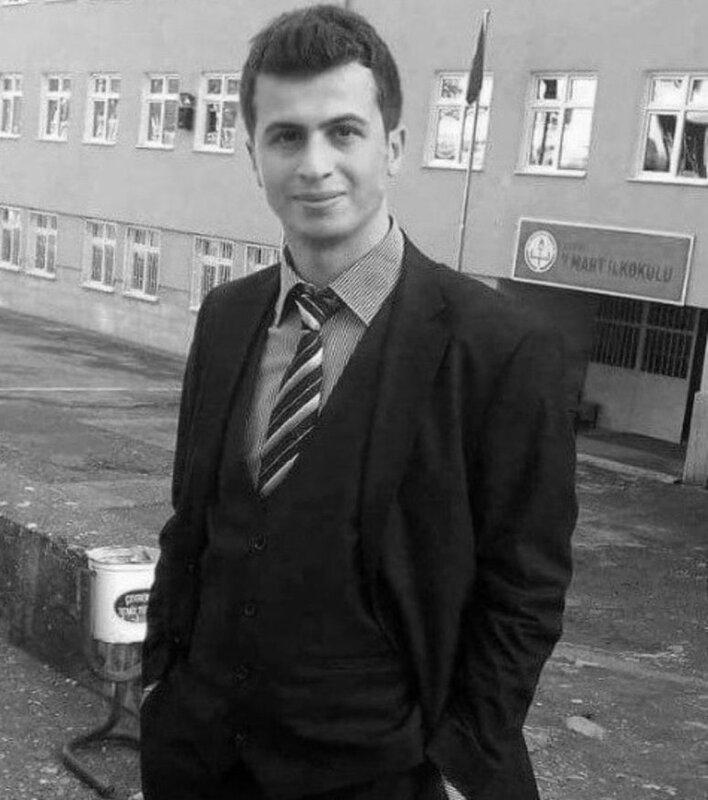 Her name was given to a music room in her school and she became a number in a list of nearly one hundred and fifty teachers murdered by PKK terrorists. ONE HUNDRED AND FIFTY! What did they die for? They died for the children who killed them. Was it worth it? I like to take pictures with my students. Unfortunately we had not had a class picture yet. Only one picture remains from my visit with Düştüm Yola in March 2017 when I had presented a talk and a recital. 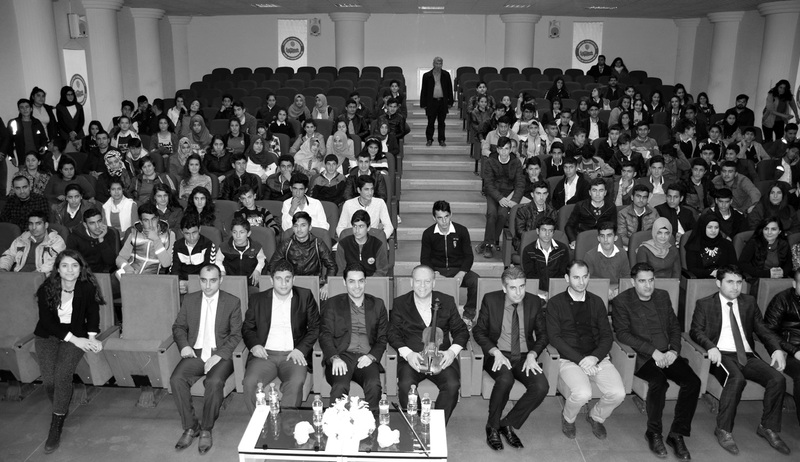 The event was hosted by the mayor and we had a photo taken with all the students and the state officials together. She is seen seated at end of the first row most likely due to her youth and shyness in a male-dominant society (see photo below). The words fail me, Aybüke. I sincerely hope you are in a better place. How sad. She had hopes and plans for her students. Her students paid a tribute by her grave. She was only 21. OMG! How awful and sad. I can’t imagine how you feel having lost someone you knew this way. So sorry and sad. You wrote a beautiful tribute about an obvious beautiful spirited young lady.